A showcase reception environment to promote the University. 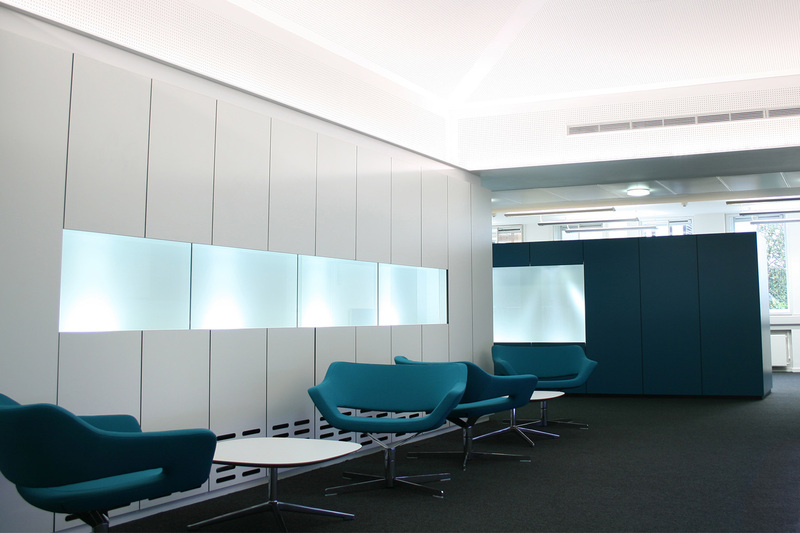 This is our third interior project for the University Of Southampton. 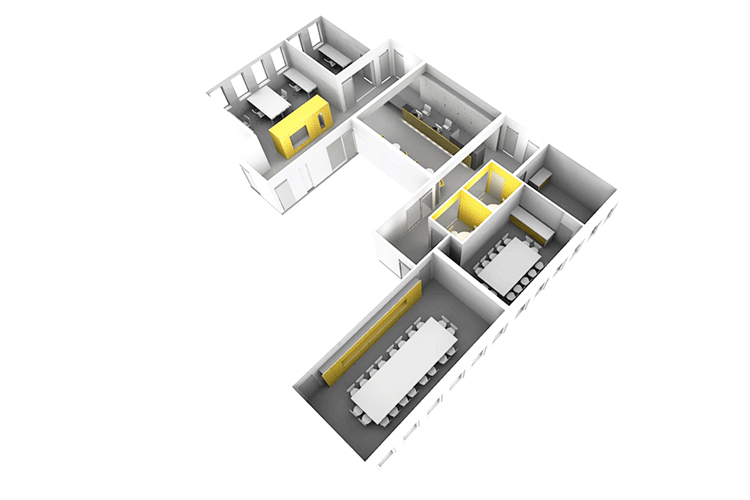 The current Vice Chancellors Suite is situated within a 1960’s building that suffers from inadequate natural ventilation and daylight due to internal rooms mid plan. The reception and meeting space is also inadequate to meet the current needs of the university. The brief was to provide a showcase reception environment to promote the university, as well as creating much needed meeting and video conferencing facilities. To overcome a long and unclear route to the offices through adjacent buildings the university also required a new dedicated entrance to the suite from street level. The main move in the design has been to open up the the floor space and depth by removing the internal rooms. 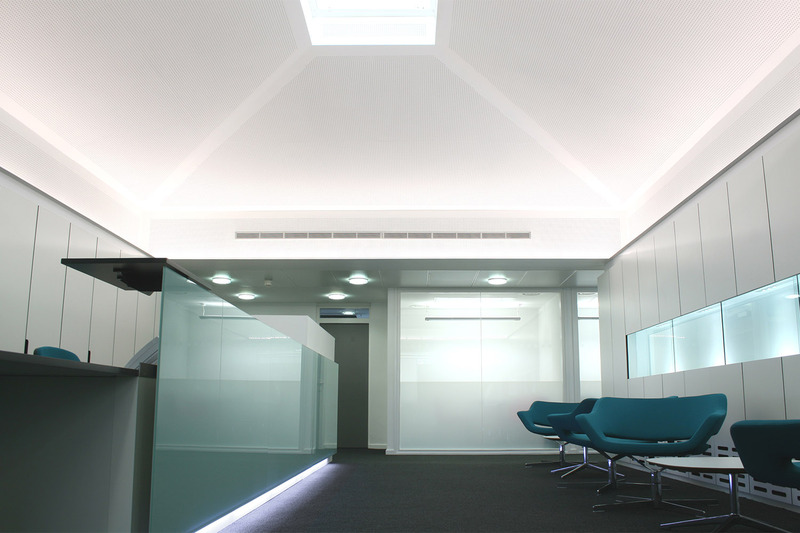 In their place we have made a new reception area beneath an existing pyramid ceiling and roof light. 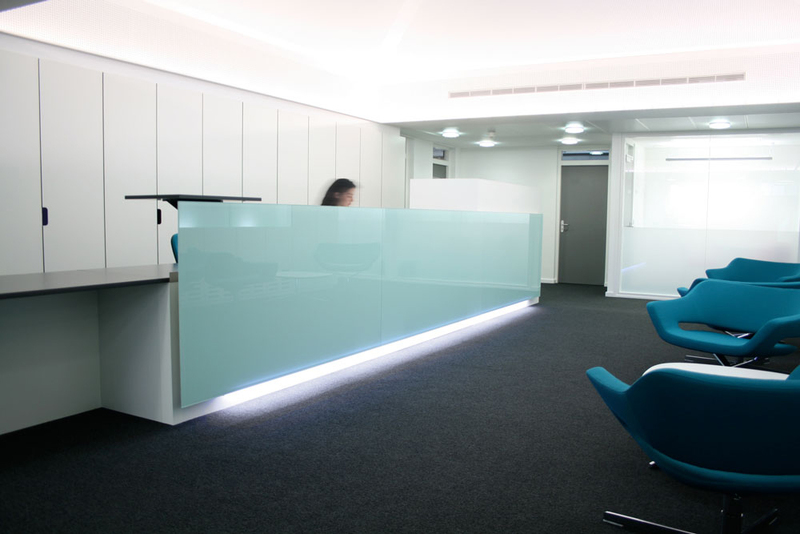 Bespoke elements of furniture are located within the spaces to provide reception desks, display cabinets, credenzas and storage. 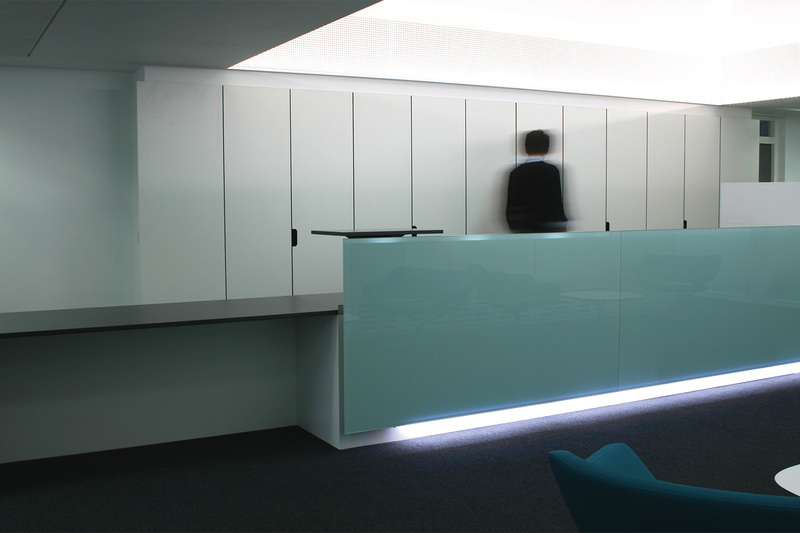 Strong colour has been used to theme and line this furniture and to reflect light within the interior environment. We have signalled the new ground level entrance by cladding an existing brick arch with the same coloured lining.